Hi Moms and Dads! 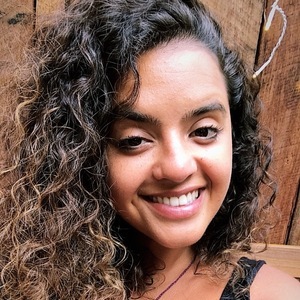 My name is Bruna, I'm Brazilian, I'm 26 years old and I've been in Sydney since August 2016. I came to Sydney to improve my English and become fluent, so I fell in love with this city and the wonderful energy of this place. I’m currently studing Early Childhood at SELC and I really love children and it makes me very happy to work with them. My experience with children started in Brazil where I worked for one year (2015) in a nursery school in the city of Caxias do Sul, Rio Grande do Sul, Brazil. In this school I was responsible for a group of 7 children aged 0 to 1 year. In addition to working as nanny here I also work as a cleaner, it would be good to help you with your home if necessary. I am a willing, sympathetic and organized person, I seek to put love in everything that I do, mainly connected to the children, I look for to take care of the details and to give my best. I am available for a conversation, to know the children and the routines of the house. Thank you for your attention and for reading my text :) With love, Bruna. My experience with children started in Brazil where I worked for one year (2015) in a nursery school in the city of Caxias do Sul, Rio Grande do Sul, Brazil. In this school I was responsible for a group of 7 children aged 0 to 3 years. Here in Australia I have already been with three families, they were experiences that added me a lot and gave me the opportunity to start this career. In addition to working as nanny here I also work as a cleaner, it would be good to help you with your home if necessary. I am a willing, sympathetic and organized person, I seek to put love in everything that I do, mainly connected to the children, I look for to take care of the details and to give my best.